Click to learn more about each Board member. In 1994, a small group of people got together with Rabbi Holin to discuss their vision of an ideal spiritual community. The result of those discussions was the birth of Congregation Kol Ami. Ruben Honik was one of those founding members. As a member of the first Board of Trustees, Ruben helped write the bylaws and define the mission and objectives that shaped the congregation. “I’m proud of the work we did in those early stages,” he says. “Those were exciting days, defining the community we wanted to have.” Ruben also helped launch the congregations search for a spiritual home by co-chairing the first capital campaign. After an absence from the congregation, he “returned home” and once again became active, co-chairing the 2016 fundraiser at the Cairnwood Estate. When Shelley Chamberlain and Jeff Cohen reached out to him to rejoin the Board, he was excited to have the opportunity to continue serving the community he helped to create. Ruben was the first member of his family to attend college. He graduated from Syracuse University with a dual degree in religion and philosophy, and received his law degree from the Rutgers University School of Law. Ruben is a partner in Golomb & Honik, P.C., a law firm specializing in commercial and consumer litigation, class action litigation, personal injury law, and environmental law. He was elected president of both the Philadelphia Trial Lawyers Association and the Pennsylvania Trial Lawyers Association (now the Pennsylvania Association for Justice). In 1995, Ruben had the opportunity to revisit his childhood home with other members of Kol Ami on a congregational trip to Cuba. He was amazed to see so much of what he remembered still intact, including his apartment in Havana. He visited the grave of his maternal grandmother, and was thrilled to participate in the dedication of a synagogue in Camaguey, our sister city, and the place where his grandparents had lived before immigrating to the US. Ruben has two daughters: Sophie, a psychotherapist and part-time yoga instructor; and Grace, a physician at Abington Hospital. He was an avid runner, completing six marathons, two of them with his daughter Sophie. His discipline was such that he drove to Washington D.C. every weekend to train with her. He now runs recreationally, and loves biking, hiking, golf, and tennis. Ruben lives in West Mt. Airy. Maddie and her sister Talia are both members of Kol Ami’s Confirmation Academy. Barb joined the board in 2012. She has chaired the synagogue’s annual Second Seder for many years. Barb served on the Search Committee for Kol Ami’s Religious School director David Monblatt, and is co-chair of the Religious School Committee, which helps develop the vision for education at Kol Ami. Her husband, Andy, a professor of history at Penn State, is a prior member of the board of trustees. Barb began her career serving the Reform movement as a legislative intern at the Religious Action Center in Washington, DC, which is the social action center of Reform Judaism. She is currently a senior research associate at Branch Associates, conducting social policy research and evaluation. Barb earned an MPA from NYU and a BA in government from Cornell University. Barb and her family reside in Elkins Park. Barb loves yoga and competes on a dragon boat team with several other fierce, fit Kol Ami women. Jeffrey Margasak believes in community and understands the responsibilities that come with being part of one. 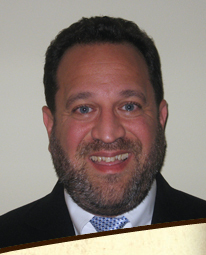 “If you want to be part of the community,” says Jeff, “you need to work within it.” Thus, Jeff was excited when, shortly after joining Kol Ami, he received a phone call from Past President Jennifer Streitwieser inviting him to join the synagogue’s Finance Committee. Jennifer explained that the committee could use Jeff’s perspective as a new member of Kol Ami and a banker (Jeff is marketing director for new account acquisitions at JP Morgan Chase & Company). Two years later, in 2011, just as Jeff was wondering if he was adding enough value to the committee, Jennifer again reached out to him, this time inviting him to join the board of trustees. The synagogue leadership’s sincere outreach impressed Jeff as a sign of the community’s investment in representing the voice of all of its people (in Hebrew, Kol Ami means Voice of My People). “There was a concerted effort to get a diversity of opinions from people of differing backgrounds with varied levels of engagement and tenure within the congregation,” explains Jeff. Jeff joined Kol Ami in 2009 with his wife Robynn and their two children, Jacob and Jenna. Their primary goal was to find acceptance for their interfaith marriage and a spiritual home where Robynn would be comfortable. Board of trustees member Lorie Slass and her husband, Bill England, joined Kol Ami when their daughter Sarah was in kindergarten. In 2013 the family celebrated Sarah’s Bat Mitzvah. Like other local families, Lorie’s was blessed with an abundance of options when choosing a synagogue. In seeking a synagogue, Sarah’s religious education was paramount, as was the congregation’s attitude toward and treatment of interfaith families and their commitment to social action and progressive values. Lorie is Director of Communications and Marketing for the Society to Improve Diagnosis and Medicine and brings more than 25 years of experience in non-profit marketing and communications to her role as a board member. She considers Kol Ami one of the region’s “best kept secrets”, and is using her expertise to broaden the range of people who know what the synagogue has to offer. She works with various committees and on marketing efforts. Prior to joining the board of trustees in 2014, Lorie worked on the Casino Night committee for several years. She served as Vice President for the Board of Trustees for two years. Lorie and her family live in Elkins Park. Over time Lisa emerged as a leader, co-chairing Second Seder, the Gil Morgenstern concert series and Bingo Night, and founding and co-chairing ISH (social group). Several years ago, Landau stepped down after three years as co-chair of the Religious School Committee to take a hiatus from her active volunteer schedule. Her recess didn’t last long. Lisa and her husband, Adam Hoffman, joined Kol Ami when their daughter Ricki turned five. It was an easy choice after attending a family service with a friend. “Rabbi Holin approached us immediately after that first service, making a point to connect with Ricki. He made us feel right at home,” remembers Lisa. Both of Lisa’s children became B’nai Mitzvahs at Kol Ami. Despite her heavy schedule at Kol Ami, Lisa holds down a full time job as a risk manager at Ditech Financial. She also enjoys hiking and competes with an all-female dragon boat team with several other fierce, fit Kol Ami women. Lisa and her family reside in Elkins Park with their dog. New Zealand once had a vibrant Jewish presence, but the community had shrunk considerably when Ben Adams was growing up there. In Christchurch, where his family lived, there was a single synagogue with only fifty families. Throughout his childhood, Ben was active in Habonim Dror, a Progressive Labor Zionist Youth movement, and in 1983 he made aliya. He lived on a kibbutz, where he met and married Gail Korostoff, who had also grown up in the Habonim Dror movement here in Philadelphia. While in Israel, Ben was the production manager for the kibbutz industry (they manufactured adhesives) and Gail worked as a welder. From 1986 to 1987, Ben served in the IDF as a member of the Nahal Brigade. They returned to the U.S. when their first child was born. Initially members of Or Hadash in Fort Washington, Ben and Gail wanted to join a shul closer to home. They were especially interested in finding a spiritual home with a progressive commitment to Israel. They were drawn to Kol Ami not only because of its proximity and its relationship with Israel, but also because they already knew so many members of the congregation. They joined Kol Ami in 2005 and knew they had made the right choice. As a member of the Board, Ben is eager help with the transition to the next phase of the synagogue’s life. He brings years of experience serving on the boards of a number of regional and national non-profit organizations. His most recent community volunteer experience was as a board member of CreekSide Co-op. Ben earned his BS degree at the University of Canterbury and worked on energy efficiency for the New Zealand Ministry of Energy before making aliya. After returning to the U.S., he earned an MBA at Drexel and is now a partner at MaGrann Associates, a regional engineering company focused on green building consulting for residential construction. Ben and Gail’s two grown children carry on their parents’ commitment to Judaism and Israel. Jonah teaches Hebrew school on Sundays at Society Hill synagogue; Sarah is a full time educator in Dror Yisrael in Israel. When he is not working or volunteering, Ben likes to bike and travel. Ben and Gail reside in Cheltenham. When board of trustee member David Baker and his wife, Irene Levy Baker, first moved to Philadelphia in 1991, they joined a large synagogue and spent several years trying to become active there. With few friends and no family in the region, they felt anonymous and lost in the large congregation. Yet initially they resisted when their next-door neighbor invited them to Kol Ami for a service, telling the neighbor they already had a synagogue. When they finally relented and attended a family service at Kol Ami, they fell in love. Close to two decades later, Kol Ami and its members have become the Bakers’ Philadelphia family. For years, Irene was very active in the congregation, first through the religious school when her two children were students, and from 2005 to 2013, as chair of the synagogue’s membership committee, and a member of the board of trustees from 2006 to 2012. David dipped his toe in, attending family events, participating in the marketing committee and as a solicitor for the capital campaign, but was not yet ready to take the leap onto the board. “I never felt like the time was right to make that kind of commitment, and then recently, I reflected upon what Irene, and even my kids, have been able to accomplish at Kol Ami, and realized I wanted to contribute more,” explains David. 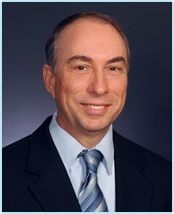 As chief commercial officer for Alcobra Pharma, headquartered in Israel, David brings decades of experience in marketing to the board. He’s using his business acumen to ensure that Kol Ami is sustainable in what it offers people spiritually and maintains its financial viability. In addition to sitting on the marketing committee, David has joined the finance and planned giving campaign committees. 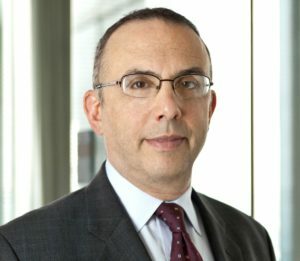 David is also chairman of the board of directors of The Philadelphia Education Fund and a member of the healthcare advisory board of the Fuqua School of Business at Duke University, from which he earned an MBA. In 2011, David launched a mentorship program that pairs professionals with first generation college students. He is currently bringing that program to Kol Ami through the synagogue’s social action committee. Both of the Baker children, Adam and Rachel, started their Jewish education at Congregation Kol Ami in kindergarten. Each became a B’nai Mitzvah here and continued on through Confirmation Academy and the Isaac Mayer Wise Reform Teaching Certificate program at Gratz College. The Bakers reside in Center City Philadelphia. This is the personal motto offered by Nigel Blower installed on Congregation Kol Ami’s Board. Nigel lives in Elkins Park, literally within sight of the synagogue, with his wife Julie Cohen and their 15 year-old son Aaron, who is currently in Kol Ami’s confirmation academy. Nigel has been a member of Congregation Kol Ami since 2003, having been introduced to the congregation by friends Bill Hyman and Janine Pratt, and having felt at home in the family services that were then held at the Gratz campus. Nigel cites a sense of community, shared values and ethics, and inclusiveness as being qualities central to Congregation Kol Ami and reasons for his strong connection. Previous to joining the Board, Nigel has been on Kol Ami’s finance committee, as well being past co-chair (with wife Julie) of the Interfaith Relationship Dialogue Group. Nigel was born and raised in England, and earned his Master’s degree in Electrical Engineering from Bradford University. He has had an active and successful career in the field of Information Technology as a consultant, expert, and executive. His current IT business focuses on strategy and project management. Nigel is vice-president of Cheltenham Sports, an Eagles season ticket holder, and a valued veteran of the Kol Ami softball team. It is safe to say that Nigel has embraced North American football and learned the ins and outs of the sport of baseball way better than most of us native locals could ever have mastered the sport of cricket. Over the years, Nigel and Julie have hosted more Kol Ami events at their house than can readily be counted. Their home inherently has a warm, welcoming, and nurturing feel that reflects the heart and soul of the family who lives there, and that acts as a natural extension of the best of what Congregation Kol Ami represents. 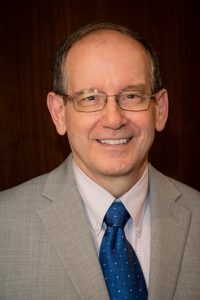 Barry Boise has been a member of Congregation Kol Ami since 1997, and previously served on the Board of Trustees from 2008-2014, and served as the Vice President of the Board for much of that time. Barry also previously co-chaired the Interfaith Relationship Dialogue Group, and currently co-chairs the Inclusion Committee – Special Needs. Barry and his wife, Allison, were initially drawn to Congregation Kol Ami because it is a welcoming place for interfaith families with a Rabbi committed to inclusion. And for the last 20 years it has been a place where our entire family and extended family could share in our children’s Jewish education, Bar and Bat Mitzvahs, and Confirmations. Now, with adult children, Barry and Allison are able to connect with the Kol Ami community through participation in religious and social programming. Barry is an attorney at the law offices of Pepper Hamilton, and spends his spare time on all things family and Philadelphia sports. The Boise family lives in Cheltenham Township. Shelley’s path to Congregation Kol Ami began in Pittsburgh several decades ago. As a teenager, she was president of the PAFTY chapter (Pennsylvania Federation of Temple Youth) at Pittsburgh’s Temple Emanuel and Rabbi Holin was her Rabbi. Thirteen years later, when Shelley got engaged to David Chamberlain, a non-Jew, she sought out Rabbi Holin to perform their marriage. She knew she could count on him to provide the unique support that she and David needed in their interfaith relationship. When their son Michael began first grade, Shelley and David moved to Cheltenham. As Shelley says, “There was little doubt that both Kol Ami and Rabbi Holin would be ‘home’ for me and my entire family. David felt very comfortable and included from the start.” Both Chamberlain sons, Michael and Brian, became Bar Mitzvahs and were confirmed at Kol Ami. They continued on with their Jewish education to earn Reform teaching certificates through the Isaac Mayer Wise Program at Gratz College. 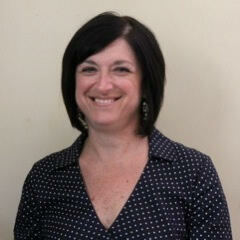 Since joining Kol Ami in 1997, Shelley has taken on a variety of leadership roles and committee chair positions. She was central to developing the very first Jewish CSA (Community Supported Agriculture) in Philadelphia: Elkins Park Hazon CSA hosted by Kol Ami. It has served as a model for other regional CSAs and positively contributed to Kol Ami’s name recognition in its early years as a vibrant, forward thinking part of the community. Shelley’s interest in sustainable, local and organic nutrition is consistent with her past position as Director for Dining Services at Jefferson University Hospital. Shelley can be reached at srchamberlain@kolamielkinspark.org. The daughter of a Holocaust survivor, Board of Trustees member Rachel Ezekiel-Fishbein grew up in a household that valued tikun olam over religious observance. Her family equated Judaism with social activism. It was only after Rachel joined Congregation Kol Ami that her concept of Judaism expanded beyond social justice to encompass spirituality. Rachel, however, did not remain on the ground floor for long. She chairs the Membership Committee, participates in the Religious School Committee, and is past co-chair of the Family Education Committee. Rachel co-founded ISH as a means of providing additional social interaction for young-ish Kol Ami members. She first joined the Board of Trustees in 2007, and began her second stint on the board in 2015. Rachel’s impressive record at Kol Ami mirrors her considerable accomplishments outside of the synagogue. She is an adjunct communications instructor at Temple University and the principal at Making Headlines, the communications and public relations consultancy she founded in 1995. 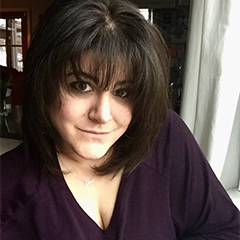 She is also a freelance writer whose work has appeared in The Philadelphia Inquirer, Philadelphia Magazine and The Jewish Exponent. She has been featured in Working Mother Magazine, The Philadelphia Inquirer and on ABC World News as a role model for women entrepreneurs who balance home and work. She and her husband, Joel, a partner at Litchfield Cavo, co-authored a section of Chicken Soup for the Soul: Special Needs Edition. An advocate for progressive education, Rachel helped found the Special Needs Advocacy Group of Cheltenham Township. 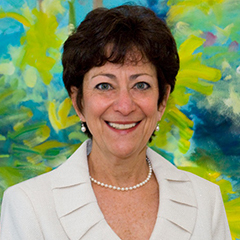 She is a member of the National Museum of American Jewish History’s Marketing Committee, and past Chair of the Public Relations Committee of Share Our Strength’s 20th Anniversary Taste of the Nation. She is a past member of the Marketing committees of Philabundance and of the Linda Creed Breast Cancer Foundation, and a former Board member of The Quaker School at Horsham. All three of the Fishbein children –Danny, Adam and Emma—became B’not Mitzvah at Kol Ami. Emma is a student in the Confirmation Academy and Adam is a graduate in the I.M. Wise Reform Teaching Certification program. After working to build an educational program to meet Adam’s needs, the Fishbeins were instrumental in creating Kol Ami’s Inclusion Committee for Special Needs, which Joel co-chairs. Rachel lives in Elkins Park, a short walk from Kol Ami, with her family and Yorkie-poo, Chase Muttley. In her spare time, Rachel enjoys yoga, swimming, Pilates, excessive Facebook posting, and, much to her husband’s chagrin, shopping. Former Congregation Kol Ami President David Hyman has every right to take pride in the congregation’s progress in the years since Rabbi Holin first approached him to help build a new synagogue. 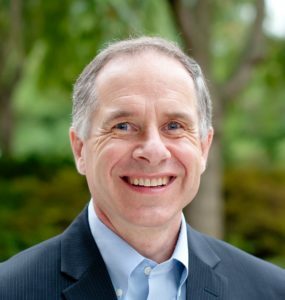 A founding board member of the congregation, David has been an integral part of Kol Ami’s growth, serving on the first of Board of Trustees from 1994 to 2000, and as one of the first co-chairs of the Worship Enhancement Committee. He rejoined the Board in 2010, and served as President the following two years. As President, David prioritized increasing engagement by helping members find added meaning in living Jewishly. For many years, David acted as Rabbi Holin’s stand-in when the Rabbi was on vacation. He chanted from the Torah at Kol Ami to celebrate the 30th anniversary of his Bar Mitzvah, was a member of the synagogue’s first adult trope class, and is currently studying Hebrew online with a teacher in Israel. 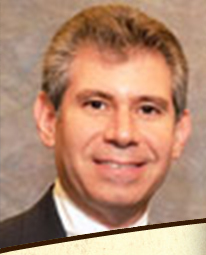 David is a managing partner of the law firm, Kleinbard LLC. He served as Chief of Staff for Philadelphia City Councilman George Burrell. 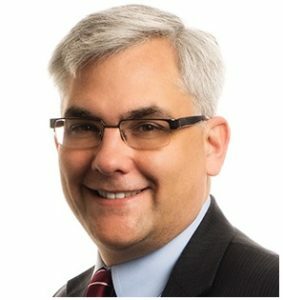 Philadelphia Mayors Nutter and Kenney have appointed David to the Board of the Philadelphia Authority for Industrial Development. David also travelled with Mayor Nutter to Israel n a 2013 Trade Mission. In addition to Kol Ami, David has chaired a number of non-profit boards, including the Philadelphia Gas Works, Operation Understanding (our Tikun Olam Award winner in 1995), the Philadelphia/S. Jersey Region of the American Jewish Committee and the Association for Independent Growth. He also served as Vice Chairman of the Board of the Greater Philadelphia Tourism Marketing Corporation and acted as the Mayor’s Representative to the Philadelphia Industrial Development Corporation Board. 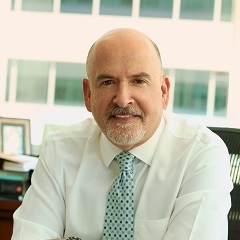 David also currently serves as a member of the Board of Trustees of the Jewish Federation of Greater Philadelphia and the Board of Directors of the Building Industry Association. David has received Eisenhower Exchange and Wexner Heritage Fellowships and the Judge Learned Hand Award. The Economy League has selected David each year since 2009 to participate in the Greater Philadelphia Leadership Exchange. David is married to Farah Jimenez, a Cuban-American, who is the President and CEO of the Philadelphia Education Fund. During a trip to Cuba with Farah’s family, David conducted the first Rosh Hashanah service at our sister congregation in Camaguey, Cuba – in Hebrew and Spanish. David and Farah reside in Chestnut Hill. Justin, previously from Fox Chase, lives in Huntingdon Valley with his wife Julia and their daughters Sophia and Rebecca. They have been members of Kol Ami since 2015. Justin is an attorney specializing in real estate transactions and litigation, small business consulting, and general contract matters. His clientele are typically private real estate investors and small business owners. 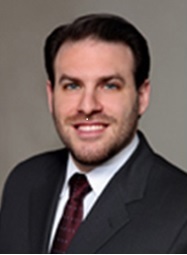 Justin obtained his Juris Doctor degree from Widener University School of Law in 2006 after having earned his Bachelor of Science in Psychology from Penn State in 2002. Justin is a new member of the Board who is currently on the Membership Relief Committee, though he plans to be affiliated with several committees in the future. Outside of work, Justin enjoys spending time with his family, drumming and playing music with friends, doing home improvement projects, relaxing at the shore, camping, going to Phillies games, and getting into “all things science”. Justin and his family volunteer with and participate in several charitable organizations and events, most of which raise money for the Children’s Hospital of Philadelphia, specifically for the cardiac unit, research and treatment of genetic disorder trisomy 21, and dealing with infant loss in memory of their daughter Nora. Justin brings a diverse set of interests and skill sets to our Board, as well as a personal tradition of community service. Kol Ami is fortunate to have him in a leadership role. 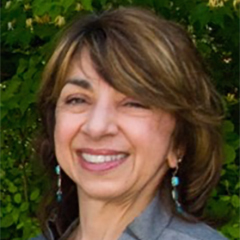 Janine Pratt joined the board of Kol Ami in 2015 as its first non-Jewish member. Although raised as a Catholic, Janine started questioning her own religion after she and her husband, Bill Hyman, started to date and, as Janine likes to put it, the longer they dated, the more Jewish Bill became and the less Catholic she became. Shortly after they got engaged, Bill met Rabbi Holin at a conversion ceremony and he and Janine knew they had found their Rabbi. After they were married, Janine and Bill were asked to be the first interfaith representatives on the Jewish Federation of Greater Philadelphia’s Young Leadership Council. She and Bill were among the first members of Kol Ami, serving as its first co-chairs of the Interfaith Relationship Dialogue. Janine and Bill’s daughters, Maya and Lia, have grown up at Kol Ami, increasingly rooted in Judaism through the religious school, their B’not Mitzvah and Confirmation Academy. Their extracurricular activities beyond the synagogue have included Camp Harlam, Satell Fellowship for Teen Leadership and Social Activism, BBYO, and the Isaac Mayer Wise program at Gratz College. Lia is participating in Kol Ami’s LAMED post-confirmation program through high school and Maya is an officer in her college Hillel. Janine believes their involvement at Kol Ami has given them very strong Jewish identities; they are proud to call themselves Jews. Janine has a Bachelors of Science in Nutrition and a Master of Education in Higher Education with a focus on Student Personnel Services. She moved to Philadelphia from Boston in the late 80‘s for a position at Philadelphia University where she became the Director of Residential Life and met Bill (good story!). After leaving higher education, she worked in two organizations that provided services for adults with developmental disabilities and is currently a free-lance writer. She also works as a community representative on Arcadia University’s Institutional Research Board. Janine values her various volunteer opportunities, largely focused on children. When she first moved to Philadelphia, she became a Big Sister to a teenage girl living in Philadelphia. She has been “uber” involved in their many PTOs, serving as a co-president at both Cheltenham Elementary and Cedarbrook Middle School. Janine served on the Wall Park Playground Build Committee and Board, completed a Parents as Leaders Certification, and cooks several times a year with the Cheltenham Chefs for the Ronald McDonald House at St. Christopher’s Hospital. 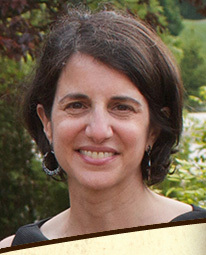 At Kol Ami Janine has served as Kol Ami’s first Oneg Shabbat Chair, co-chair of the IRD, co-chair of the Second Seder, co-chair of the Gil Morgenstern concerts, co-chair of the Fine Arts and Craft Show, co-editor of Kol Ami’s Bulletin, and a member of the Religious School Committee. She is honored to now contribute to board leadership. Janine lives with her family in Elkins Park. Inclusion and values: new board member Morgan Selkirk knows exactly why she is attracted to the Kol Ami community. Born in Manhattan, Morgan grew up in the theater world of New York, where she was affiliated with Congregation Sons of Israel. She taught early Hebrew and served as a United Synagogue Youth (USY) advisor. Morgan loves all things art related. She earned an Associates Degree in theatre arts, a Bachelor of Fine Arts in visual arts with concentrations in photography and color theory, and a second Bachelor of Arts in media, society and the arts. Her professional background is in special events and marketing coordination. 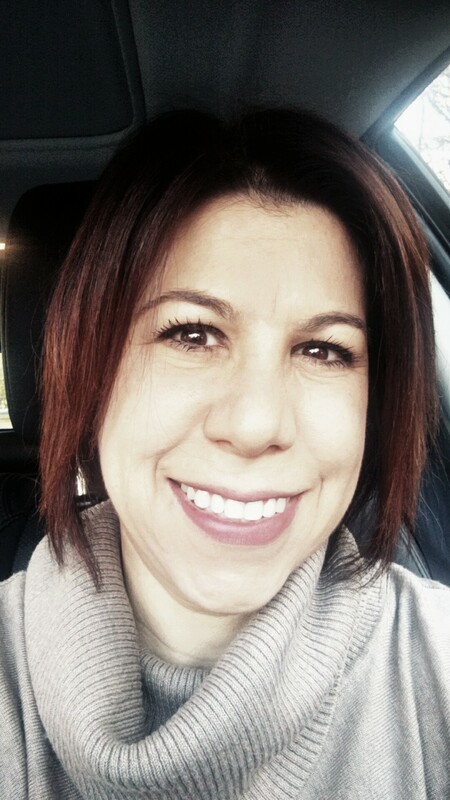 She established her own business, ML2 Photography, in 2004, and is currently a freelance photographer. Previously, she worked in income development at the American Cancer Society. Morgan paints and sculpts, and enjoys crafting and creating elaborate fondant cakes for family and friends. Although Morgan’s interests exceed the amount of time she has available to devote to them, there are two areas for which she always finds time. The first is her family and friends. She loves spending time with her kids and doing the things they love to do. Although her home team is the Yankees–she loves going to baseball games–she will never forget taking her son to his first Phillies game and witnessing the excitement he had throughout the nine innings. Equal rights activism is a driving force in how and where Morgan chooses to spend her volunteer time. She has worked towards LGBTQ legislation and transgender rights, was an acclimation advisor for an LGBT Community Health Center and volunteered with Parents, Families, and Friends, of Lesbians and Gays (PFLAG), The Bully Project, National Center for Transgender Equality (NCTE), Broadway Cares, and Moms Demand Action. Kol Ami’s commitment to inclusion and diversity, specifically in the LGBTQ arena, has strongly attracted Morgan to the congregation. She wants to raise her family in a fully inclusive environment and Kol Ami demonstrates this commitment through words and action. Although relatively new to Kol Ami, Morgan has already been involved with membership, marketing, Casino Night and the Religious School PTO. She is honored that the congregation wants to have representation from a young family like hers and looks forward to helping in any way she can as a member to the board. Morgan and her family live in Huntingdon Valley. Growing up, Robin Shane belonged to a reform synagogue founded by her parents and 12 other families. Her husband, Jonathan Shandell, attended a secular Jewish synagogue. When the two of them moved from New York to Elkins Park in 2008, they wanted to join a congregation that would resonate with both of their religious backgrounds. Robin contacted a couple of synagogues, and Kol Ami was the only one that called her back! But after visiting, they knew they needed to look no further—Kol Ami was the perfect fit for them: intimate, warm, and supportive. Robin grew up in Wayland, Massachusetts, outside of Boston. She majored in theater and psychology at Wesleyan University, where she intended to become be a theater performer, but after taking a technical theater class in her freshman year, she changed course. Having learned to sew at the age of seven, she gravitated to costume design. She attended NYU Tisch School of the Arts, graduating with a Master of Fine Arts in Costume Design for Theater and Film. After graduating, she worked for many years as a freelance costume designer for theaters in New York, Philadelphia, and New Jersey. Her most high-profile gig was “Brundibar,” a children’s opera that ran off-Broadway, with production design by Maurice Sendak and a libretto by Tony Kushner. She was less successful designing Halloween costumes for her children; when she made a Max (“Where the Wild Things Are”) costume, her then two-year-old daughter refused to wear it! 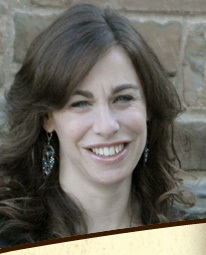 Robin brings a unique combination of artistic, educational, and organizational skills to the board of trustees and to Kol Ami. In addition to her work as a costume designer, Robin has served on non-profit boards for much of her adult life, recently finishing a six-year term on the board of Yes!And Collaborative Arts, an organization that works with young people to build self-confidence by working collaboratively with peers and professional artists. She was also an adjunct professor at Arcadia, Temple, and Rider Universities and has recently begun a new phase of her career as a full-time tenure-track professor of theatre and dance at Rider University in Lawrenceville, NJ. Robin was nominated to the board in 2018. She is excited to be working with the new rabbi and being part of the next phase of the synagogue’s life. She is particularly interested in working with the LGBTQ+ Inclusion Committee, which she currently co-chairs, and the Disability Committee. In the past she served on the Rare Events and the PTO Committees. Robin and Jonathan have two daughters, Cecily, 15 and Miranda, 11, both of whom have attended the religious school since kindergarten. Their older daughter became a bat mitzvah in 2016 and is now in the Confirmation Academy; their younger daughter is currently in sixth grade, and her bat mitzvah is scheduled for March 2020. In addition to her many professional and volunteer activities, Robin somehow finds time to knit, do crafts, run, and tap dance. The family resides in Elkins Park. Tamara Sniad is a new Board member (since July, 2017) who will begin working with the Kol Ami Religious School Committee in September. Her new position is apropos given Tamara’s extensive training, professional experience, and community service in the area of education. 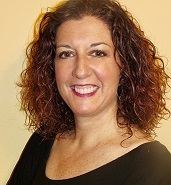 Tamara is an Associate Professor at Temple University’s College of Education. She received her Ph.D. from the University of Pennsylvania, and previously obtained her B.A. and M.A. degrees from the University of Florida in Gainesville. Tamara also studied at the World Union of Jewish Students in Arad, Israel. 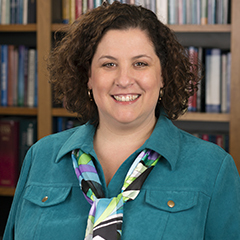 Her area of specialization is language learning and teaching, culturally responsive teaching, and ethnographic research methods. In this position, and in prior work, Tamara works with pre-service and in-service teachers and collaborates with schools on professional development for teachers working with diverse student populations. Just this past year, she received a $2.7 million grant to work with the School District of Philadelphia to improve the experience and outcomes of high school English language learners. Tamara’s community-related experiences have been interconnected with her positions at various universities and non-profit organization. In her academic department at Temple University she is responsible for arranging field placements for approximately 125 students each semester in schools serving large populations of English language learners. Additionally, she works with numerous community organizations to provide additional experiences to students and to bring more resources to schools. At Rutgers University, Tamara built partnerships between Camden schools and local business as well as universities to provide students greater access to higher education. At the non-profit, Tamara collaborated with several organizations and institutes to provide training to educators working in non-formal learning environments. Tamara also has been a room parent in her children’s schools for several years and participates regularly in community events for social action, and just to be social! Tamara enjoys receiving periodic philosophical sayings from the website “Notes from the Universe” (www.tut.com). One of her favorites is, “The greatest trick and most subtle secret to doing anything really, really well is loving that you get to do it at all.” Another is, “It’s quite the paradox but the more one pushes themselves into areas of discomfort – gently, just a bit, from time to time – the more comfortable they become. And vice versa.” We are pleased that being a Kol Ami Board member has become one of Tamara’s labors of love, and that she is the sort of person who will gently nudge our congregation from time to time into worthwhile and growth-enhancing areas of discomfort (that ultimately will become comfortable)! Welcome to the Board, Tamara. When Gary and his wife Cheryl were searching for a reform synagogue, they knew they wanted to be part of a congregation that was friendly and welcoming—one that was led by a rabbi who set the tone by being inclusive and supportive of new members. In Kol Ami, they found a community that offered all those things in a beautiful setting, with meaningful worship services. Gary and Cheryl have been members since 2015. Gary serves on the Membership and Worship Enhancement Committees, but his desire to do even more to help Kol Ami grow and thrive motivated him to join the board of trustees in 2018. As a board member, he hopes to assist the leadership in expanding the religious school and adult education programs. Gary practiced law for twenty years, but in his heart he knew all along what he really wanted do: teach. So he left his law practice, got a Master’s degree, and spent the next fifteen year teaching social studies at the middle school in the North Penn School District. Now retired, Gary volunteers as a tour guide at the Rosenbach Museum and Library in Philadelphia. He is also active in the retired division of the Pennsylvania State Education Association. Gary studied piano at the Settlement Music School. He still takes piano lessons and plays chamber music with friends. In 2018, Gary became an adult B’nai Mitzvah. Kol Ami membership is a family affair—Gary’s father, Al Turetsky is also a member of the congregation. Their daughter lives in Washington state. Gary and Cheryl live in Elkins Park.